Mark began his career in public service in the Colorado State House in 1997. Since 1998, he has represented Colorado's Second Congressional District in the U.S. House of Representatives. He is currently running to serve Colorado in the United States Senate. Mark is known for his willingness to elevate the policy debate above partisan politics in order to find workable solutions to difficult political issues. Most recently, he worked across party lines to pass legislation to reduce wildfire risk and bark-beetle infestation in Colorado, and to pass legislation to protect the natural beauty of the Roan Plateau while still allowing some access to the area's mineral wealth. 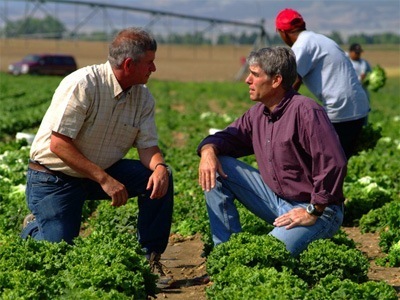 Mark Udall and FamilyMark is also known for taking leadership in difficult political environments. He voted against the rush to war with Iraq in 2002 and against the PATRIOT Act, despite immense political pressure to support both bills in the wake of September 11. As co-chair of the House Renewable Energy and Energy Efficiency Caucus, Mark championed efforts to provide government support for the development of sustainable and renewable energy resources before energy resource diversity was widely recognized as an essential component to a sound energy policy. Throughout his time in public office, Mark has worked hard to promote issues important to Coloradans. He is a member of the Armed Services Committee and has co-authored legislation to strengthen our military and to develop new strategies for combating terrorism. As the Chairman of the Subcommittee on Space and Aeronautics, he led efforts to expand and promote Colorado's place as one of the nation's leaders in aerospace jobs and technology. Mark has also served on the House Natural Resources Committee, House Small Business Committee, and House Agriculture Committee. He has successfully passed legislation promoting energy conservation, developing bio-mass fuels and protecting Colorado's wilderness from the effects of climate change. He also is responsible for sparking the clean-up of Rocky Flats—turning the closed nuclear trigger facility into a wildlife refuge. Mark believes that public service requires a commitment to helping Coloradans make their government work for them. He has a strong record in responding to constituent concerns, and providing assistance to citizens working with government agencies. Mark lives in Eldorado Springs, Colorado. His wife, Maggie Fox, is a prominent environmental attorney. He has two children, Jed who is a freshman in college, and Tess who is a senior in high school. He is an experienced outdoorsman and mountain climber. He has climbed many of the toughest mountains in the world-including all of Colorado's "Fourteeners." Mark's family has lived in the West for five generations, and the Udall name has become synonymous with quality public service for 150 years. Mark's father, Morris "Mo" Udall, played for the Denver Nuggets before serving 30 years in Congress. In 1976, he sought the Democratic nomination for President. Mark's mother, Patricia "Sam" Udall was a native Coloradan. She was an avid outdoorswoman who instilled in Mark his great sense of adventure and love for the wilderness. In 1977, she won a cross-country women's flying competition known as the "Powderpuff Derby." Her father, Roe Emery, was a cowboy-turned-entrepreneur who eventually came to own the Stanley Hotel in Estes Park and was the first concessionaire in Rocky Mountain National Park. Mark's uncle, Stewart Udall was a Congressman and served as the Secretary of the Interior under Presidents Kennedy and Johnson. Stewart's son, Tom Udall, is Congressman in northern New Mexico and a candidate for the New Mexico 's recently vacated U.S. Senate seat. In southern Colorado and northern New Mexico, the campaign slogan for both Mark and Tom is, "Vote for the Udall nearest you!"